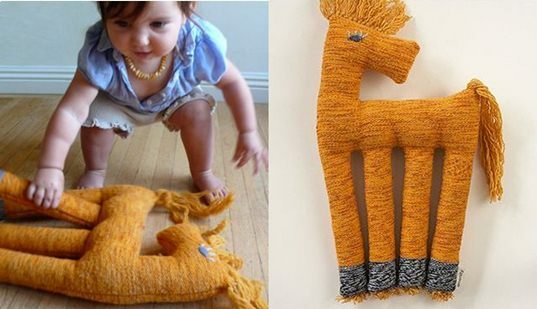 This cute and huggable stuffed friend is a unique, modern take on the toy horsie. Sure to enchant little ones, this Peruvian Horsie is made child-safe. Each horsie is handwoven in Peru by indigenous artisans with 100% all natural, eco-harvested alpaca wool and is stuffed with 100% recycled cotton. Little fingers will love to explore and play with this horse due to its unusual proportions and long tail and mane. A fun gift for young horse enthusiasts.